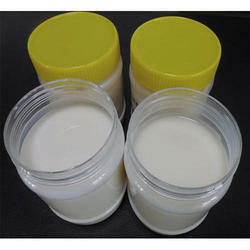 We are a leading Manufacturer of premium acrylic emulsion from Ahmedabad, India. When you unveil the shades of Chamak Premium Acrylic Emulsion, you unveil a whole new colour experience. Beautiful, long lasting and stylist. Its acrylic co-polymer base ensures that your chosen colours retain their freshness longer and imports a special non-yellowing property to super white and frost white. Uniquely formulated to yield more coverage and ensure a satin smooth finish. Chamak Premium Acrylic Emulsion is also fast drying which means you can complete the painting process faster. Looking for Interior Emulson Series ?